Lake Martin, near Alexander City in mid Alabama, has gone through a lot of changes over the past 80 plus years since its impoundment in 1926. No I’m not that old. But having fished this 39,000 acre lake for over 30 years, I do have some fond memories – of some very excellent days of bass fishing I’ve experienced all throughout this lake. Although Lake Martin is a rather spread out lake at over 700 miles of shoreline, it only features 28 nautical miles of winding and twisting Tallapoosa River waters. Starting at Lake Martin dam downstream and heading north to the lake’s headwaters to an area called, Irwin Shoals. Since another impoundment, Lake Harris, was created upstream by the construction of Lake Harris dam in 1983, more changes have taken place on Lake Martin. Boaters can no longer navigate their boats past Lake Martin’s headwaters at Irwin Shoals. Now these lake headwaters feature an impassable rocky, boulder – strewn flat, bathed in swift current most of the winter season. At times water released from upstream Lake Harris dam can be dangerously swift for boaters in these lake headwaters and heavy, winter rains can create some very stained to muddy water conditions, often for weeks at a time, in Lake Martin’s headwaters. That is, with a lot of winter rains and early spring rains, of which we have had very little of so far, as this year comes to an end. Drought throughout the southeast has many lakes extremely low, even for winter pool, when lake levels are customarily down anyway. But as you can see at the heading of this lake report, Lake Martin is extremely low, at 15 feet below normal, full pool levels, which we have not seen since earlier this year. It all started in late spring as the lake was slowly dropped a few feet. Then after a scorching, hot summer showing air temperatures near 105 degrees taking place, lake levels fell even lower. Normally, by the beginning of the fall season, the lake should be “at or near full pool,” prior to it being drawn down several feet for winter pool for another 6 months. But this past fall season Lake Martin was down 8 feet. So what effect does this have on anglers hoping to just fool a few of Lake Martin’s wintertime bass into biting? A tremendous effect. First of all, this wintertime lake drawdown has taken place every year I’ve fished Lake Martin and its been even lower in winter’s past. But this was always following, “a lake seen at full pool” from mid April until November, always giving both spotted bass and largemouth bass plenty of time to bunch up as the lake rose, then spread out in the lakes newly flooded waters, starting each spring season. So now what does next year hold for Lake Martin’s bass and the anglers that pursue them? We will just have to pray for rain and see what takes place. Lake levels being so low (15 feet down), should not compose all negative thoughts. Drawdown does have its advantages over the lake being at full pool. For one thing, the lake is now about half its original size. 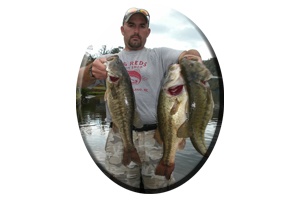 This concentrates shallow water bass at low pool, bass that are forced to share (or bunch up around) whatever shallow water wood and rock cover they can find. 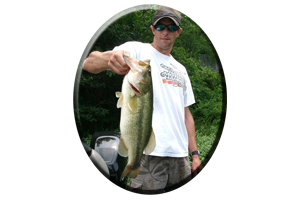 Bass, especially largemouth bass, require some type of cover to conceal themselves for ambush purposes, like when darting out of a brush pile and attacking unsuspecting prey. This usually takes place in stained water conditions as they make their homes in the security of thick weeds, wood cover or rock cover. But times have changed all these feeding habits, with no weed cover and very little low water wood cover now evident, as easily seen on most of Lake Martin’s bare banks. Clear water conditions, from little or no rain, helps reveal these bass, rather than off colored water clarity helping to conceal them, and clear water can possibly stop them from catching their days next meal. With Lake drawdown every year, another piece of wood cover is exposed. It then becomes dry and brittle, eventually breaking off and then floating off downstream, all taking place when the lake level rises again in the spring. This is what’s happening to most of Lake Martin’s stumps, laying logs, brush and even blown down trees. Eventually they just float away, or become water logged and sink to the lakes bottom. 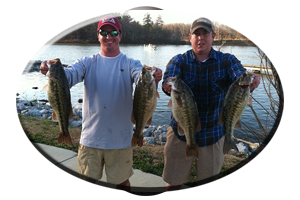 But like the bass, the bass anglers, have learned to adjust and take advantage of this problem. 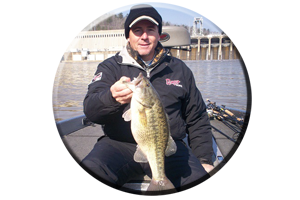 Many anglers that frequent Lake Martin during the winter months or residents that live on the lake, actually plant their own fish holding cover. 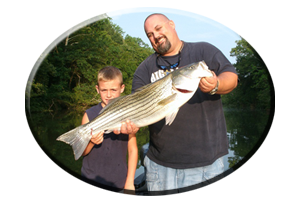 Tire reefs, sunken palettes, brush piles, rock piles and even things that should not be thrown in the lake (like old refrigerators and washing machines) all hold bass, baitfish and even crayfish. Both predator and prey, now just looking for something to relate to or hide in. Which brings to mind another good reason to be on Lake Martin during the winter months, especially with it now down 15 feet for winter pool. Observing low water cover like resident planted brush piles, offshore rock piles, or even stumps now visible along main lake flats, during the winter season, can pay off (handsomely in bass tournaments), especially upon returning to these same spots this coming spring, when all of this fish holding cover will (hopefully) be under water again. Not only do residents plant brush and other fish holding cover, and tournament anglers and crappie fisherman put out their own fish holding cover on Lake Martin, but the Alabama Power Company does so as well. Each year around the first week of January, the parking lot of Wind Creek State Park is filled with donated Christmas trees. Alabama Power employees bundle them up, weigh them down with concrete blocks, then load them up on a pontoon boat and place them all throughout the lake. Marking the spots with a styrofoam float attached to a rope or marking them with GPS coordinates, you can obtain by calling Alabama Power Company.